Santa brought me a couple of new Barry M nail art pens for Christmas and I couldn't wait to try them out. Luckily I have a very obliging sister-in-law who lent me her nails for some testing. The reindeer design was actually inspired by a present tag which she had saved from the wrapping paper chaos on Christmas morning. One of my new pens is pink so we chose a pink and white theme with Models Own Utopia as the base. 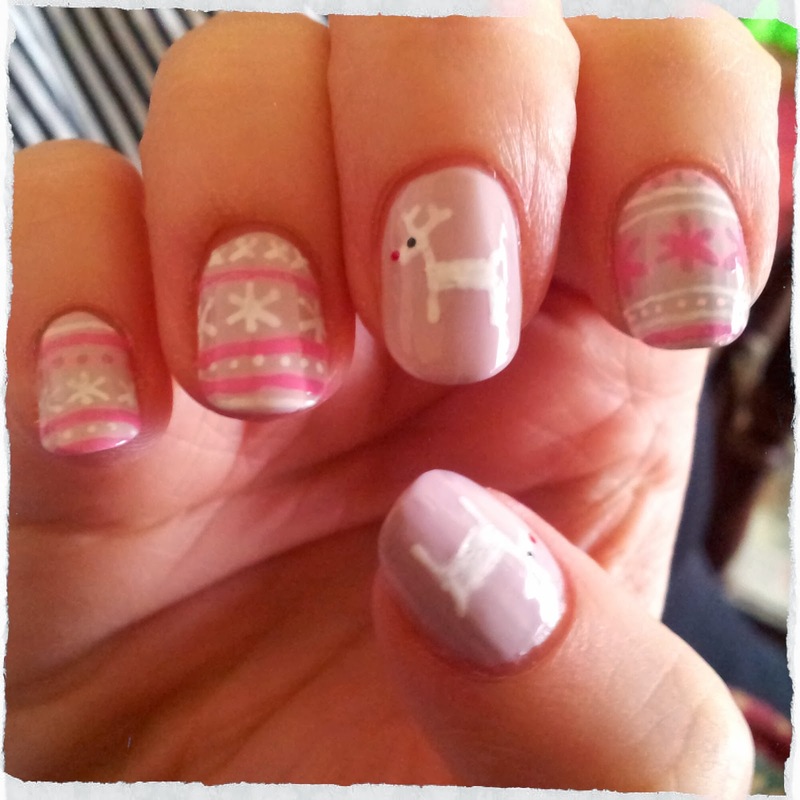 To accompany the little Rudolphs I chose a woolly knit style design which varied slightly on each nail. The pink pen was a little thick which made detailing difficult, but I think that's just because it's brand new and full of polish (not for long!). How long are we allowed to wear Christmassy nails now it's over?! Thanks JayBee!! They were easier than we thought they'd be, and couldn't resist adding his little red nose!